Carlisle lauded the aircraft’s performance, noting that the aircraft had met all key criteria for reaching initial operational capability: Airmen trained, manned and equipped to conduct basic close air support, interdiction and limited suppression/destruction of enemy air defenses in a contested environment with an operational squadron of 12-24 aircraft; the ability to deploy and conduct operational missions using program of record weapons and missions systems; and having all necessary logistics and operational elements in place. The F-35A is the latest addition to ACC’s fleet of deployable and fifth-generation aircraft. It provides air superiority, interdiction, suppression of enemy air defenses, and close air support as well as great command and control functions through fused sensors, and it will provide pilots with unprecedented situational awareness of the battlespace that will be more extensive than any single-seat platform in existence. “Bringing the F-35A to initial combat readiness is a testament to our phenomenal Airmen and the outstanding support of the Joint Program Office and our enterprise partners. 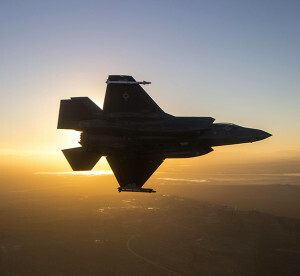 This important milestone for our fighter force ensures the United States, along with our allies and international partners, remains prepared to deter, deny, and defeat the full spectrum of growing threats around the globe,” added Air Force Secretary Deborah Lee James. 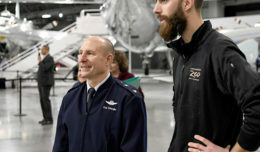 Chief of Staff of the Air Force Gen. David L. Goldfein, said that dynamic new capability will benefit the joint war fighter. As commander of the 412th Test Wing, Brig. 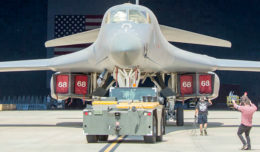 Gen. Carl Schaefer said he was proud of his team’s contributions toward achieving this milestone, calling it an amazing testament to the 412th Test Wing executing our mission of ensuring war winning capabilities for decades to come. 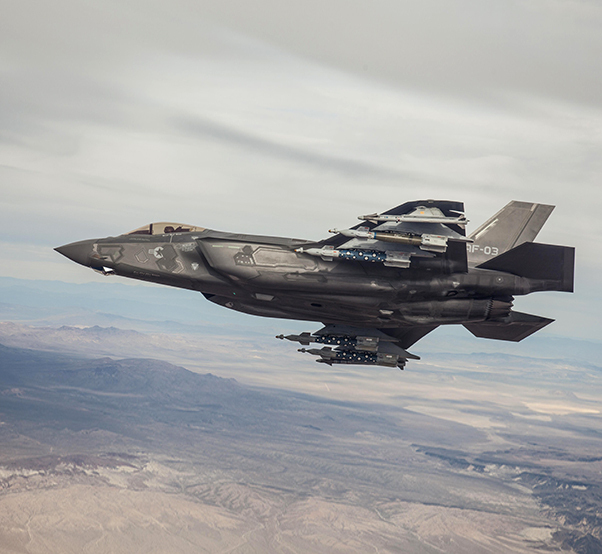 The Joint Strike Fighter Integrated Test Force and the 461st Flight Test Squadron are responsible for developmental testing of the F-35 here. Lt. Col. Raja Chari, 461st Flight Test Squadron commander and ITF director, said IOC for the Air Force is significant because it’s a major milestone the ITF has worked towards. Both commanders stressed that while the declaration of IOC is a major accomplishment, F-35 testing here is far from finished. The general explained that the IOC declaration is more than one milestone for Team Edwards, and to him personally. “It’s another amazing milestone because it’s been 11 years since the Air Force has declared IOC on a fighter,” he said. The last IOC declaration for an Air Force fighter was the F-22 in 2005, which was also enabled by the members of the 412th Test Wing. The F-35 Integrated Test Force first began operating here in 2005, with the first aircraft arriving in 2009.